08) Could This Be Magic? 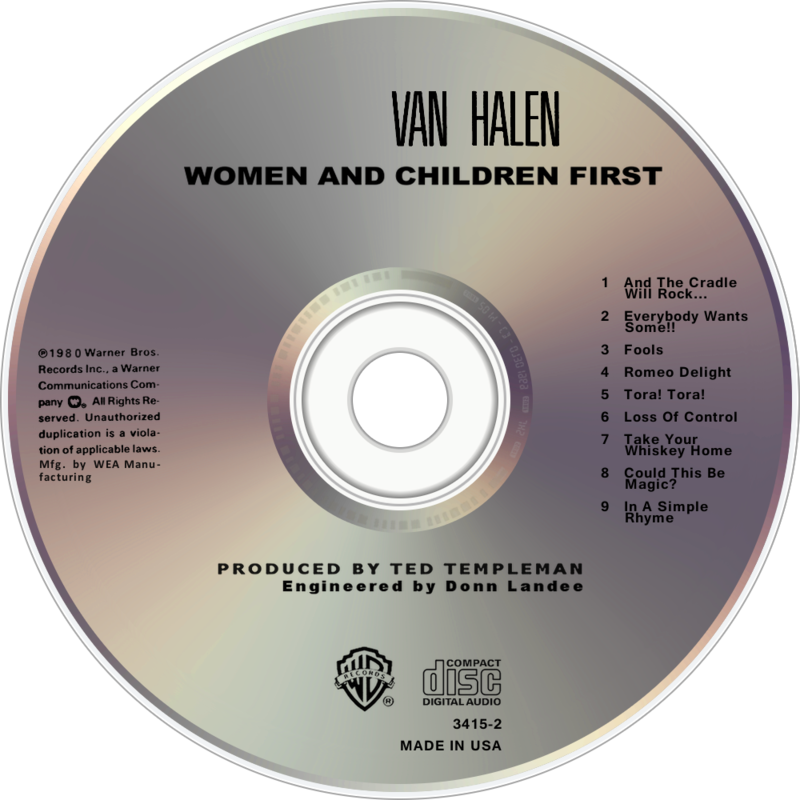 Women and Children First is the third studio album by American hard rock band Van Halen, released on March 26, 1980 on Warner Bros. Records. Produced by Ted Templeman, it was the first to feature compositions written solely by the band, and is described by critic Stephen Thomas Erlewine as "[the] record where the group started to get heavier, both sonically and, to a lesser extent, thematically." The opening track, "And the Cradle Will Rock...", begins with what sounds like a guitar, but is, in fact, a phase shifter-effected Wurlitzer electric piano played through Van Halen's 1960s model 100-watt Marshall Plexi amplifier. The album is somewhat different to their first two albums in the way that it features more studio overdubs. "Could This Be Magic?" contains the only female backing vocal ever recorded for a Van Halen song; Nicolette Larson sings during some of the choruses. The rain sound in the background is not an effect. It was raining outside, and they decided to record the sound in stereo using two Neuman KM84 microphones, and add it to the track. Only one single was released from the album, the keyboard driven "And the Cradle Will Rock..." Although the single was not a success like previous singles "Dance the Night Away" or the cover of "You Really Got Me", the album itself was well received and further entrenched the band as a popular concert draw. The song "Everybody Wants Some!!" was also a concert staple through the 1984 tour, and continued to be played by David Lee Roth after he left Van Halen. The album contains a track at the end of "In a Simple Rhyme", a brief instrumental piece entitled "Growth", which begins at 4:19. While "Growth" faded out on the original vinyl LP and cassette, it was finally given a cold ending at full volume on the compact disc. A longer version of "Growth" was supposed to start the band's next album, Fair Warning, but this did not occur. "Growth" was a staple of the band's live shows with Roth and often used as the start of their encores. Several outtakes from these sessions exist, including an unreleased instrumental titled often referred to as "Act Like It Hurts", which was the title Eddie Van Halen originally wanted for "Tora! Tora!" "Act Like It Hurts" also provided a riff for "House of Pain", released on 1984. "Everybody Wants Some!!" was featured in the 1985 comedy Better Off Dead, during a sequence featuring a singing, guitar-playing claymation hamburger. A nod is given to Eddie in the animation, as the hamburger's guitar sports a red, black, and white stripe design made famous by him. "Everybody Wants Some!!" is also featured in the 2009 comedy/horror film Zombieland. The album version included a poster of a photograph by Helmut Newton featuring Roth chained to a fence. Kerrang! magazine listed the album at #30 among the "100 Greatest Heavy Metal Albums of All Time".